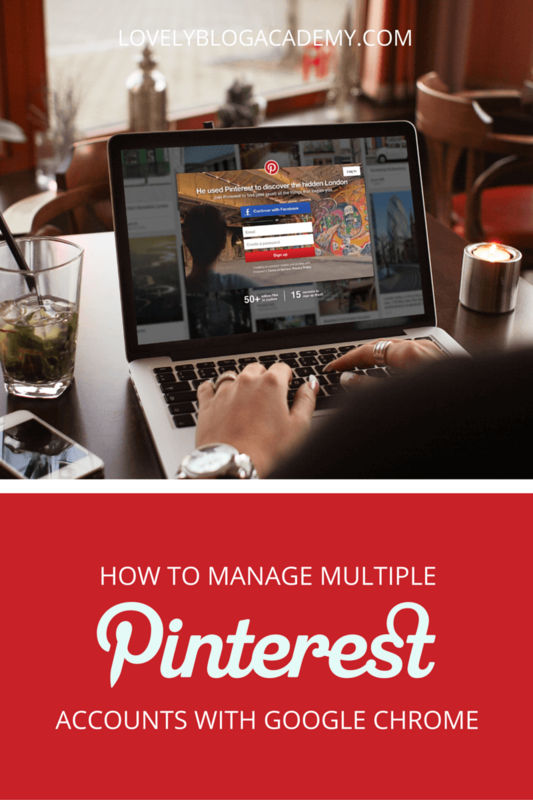 Turns out, the easiest method to manage multiple Pinterest accounts DOESN’T require an app! You don’t have to sign up for any new tools either. You just need to use the Google Chrome browser. 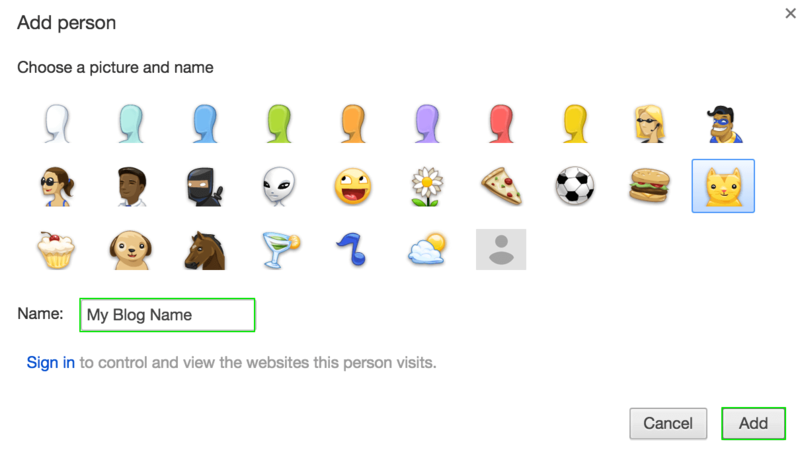 In this tutorial, I’ll show you how to create multiple user profiles in Chrome. In each profile, you’ll log into the corresponding Pinterest account ONCE. Then you can switch between them without logging in and out! Simple. Note: I’m using Mac OSX El Capitan, but this should work whether you’re using another operating system (such as Windows). The menu items may be named slightly differently. Google provide a wonderful help guide covering a range of operating systems and devices. If you get stuck, check out their guide here. 3) Your “People” box should be empty, or only have one user. We’re going to add multiple users – one for each of your blogs. Click the “ Add person... ” button underneath. 4) A pop-up box will appear with several different options. 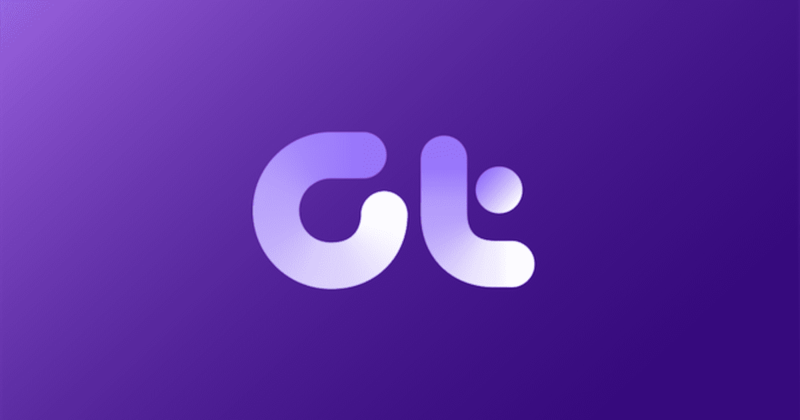 Choose an icon and give the profile a name (I use my blog or client’s name). Then click add. 5) After clicking the add button, a new window will open. 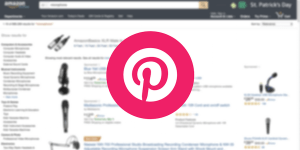 Navigate straight to Pinterest and log in with the relevant credentials. 6) Repeat steps 1 – 6 above, as often as needed. 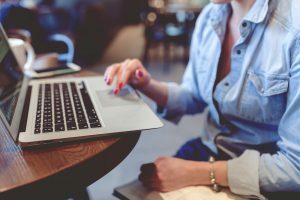 Create a new profile for each of your blogs/clients. Each time, navigate straight to Pinterest and log in to the relevant account. 7) Nearly finished! Close all open windows EXCEPT FOR ONE (can be any). 9) Navigate to your Pinterest account. You should be logged in still? 10) Switch to another profile and again, you’ll still be logged in. What a simple and yet great idea! I’ve been using Incognito windows in chrome to manage several accounts at the same time but this obviously doesn’t keep you logged in when you close the tab. I’m definitely going to try this method as it’ll be a lot more streamlined than logging into separate accounts all the time – thanks for the tip! Thanks for commenting! You’re welcome – I’m glad the tutorial helped – I also used to do the Incognito trick with Pinterest, and you’re right, you have to log in every time! This method is much easier. Hi, I am trying to merge 2 Pinterest boards. I tried your instructions, but it didn’t work. From which board do I start from? I want my personal Pinterest board to be my main and a group board to be secondary. Any help would be appreciated. Thanks for stopping by the blog and commenting. Sadly, I think there’s been a bit of confusion somewhere. This tutorial is for MANAGING two Pinterest accounts, not MERGING two boards. My tutorial helps bloggers or freelancers who regularly manage more than one Pinterest account, it saves them logging in and out with different usernames/passwords. As far as I know, there is not any way to MERGE two Pinterest boards or accounts together. A quick Google search suggests this is a feature lots of people request though, hopefully Pinterest will add it soon. I wonder if you can help me, I know you said you use a Mac but where can I find this ‘preference’ option in Windows using chrome? There should be a menu button somewhere in chrome. It looks like three lines together. Hey Carly My you are clever… 🙂 This is the perfect solution, thanks heaps you have made my life so much easier! Awww, no problem. I’m glad it worked for you. I have been using this technique for about a year now, it really is a life saver! I’m really pleased the tip works for you. It’s been a big time/hassle saver for me too. Before, I used to log in and out of Pinterest accounts. Using browser profiles like this really does make life easier! Hm, it sort of works for me. When I navigate to the second person, a new window opens again and it always first asks me to login to google before I can go to pinterest. Maybe the new window popping open is a setting, but couldn’t you just as well use an incognito window in that case? Thanks for taking the time to comment. You should only need to log into Pinterest once in the second person account. You shouldn’t have to log in every time. Maybe check your cookie settings in preferences? Chrome will ask you to log into Google, it always does (unless you just log in!). You can set a group of tabs as your new homepage. So for this site, I have a “person” called LBA. My home tabs are set to Twitter, Pinterest & this site’s admin panel. I really ought to make a better video. I’ll put it on my to-do list. Thanks for letting me know Jermey, I’ll have to take a proper look at a couple of apps and amend this page with recommendations. Re the last comment about apps, I did not find any. In any case, while your directions kind of work. It’s different for Windows users obviously. Like, there is no “people” tab at the top. Each time I have to go to the desk top and click on the other google chrome icon (I now have 2 for each “user”). I suppose this is helpful if you’re only browsing for that account when in that account. But, when I’m on my personal Pinterest page, it would be great to be able to pin to my business page, which this does not allow. I have to logout of Pinterest and login w/the other account, then go back and pin. It’s not ideal, but I guess there isn’t a way to just pick which account you want to pin from from say a drop down selection. Oh, well thanks anyway and it obviously works great for what you are doing w/your clients. Hmm nobody in my house has a Windows laptop unfortunately, but I’ll do my best to borrow one from a friend & update the tutorial. Thanks for the feedback. OMG!!! Thank you for this post! I was using separate browsers which was a real pain! 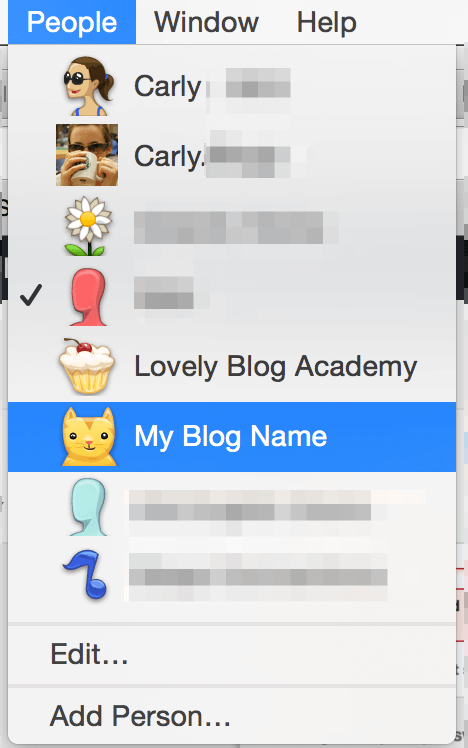 Now I just have these two little icons on my desktop that I can use to pop back and forth between accounts. AWESOME! Hi there. Nice article. I have a question, however. Before going through the steps you list, should I first create my various Pinterest accounts – say 3 of them? And then, when I set up the 3 profiles, I’ll tie each one to a different Pinterest account and log in accordingly under the individual Chrome profiles? 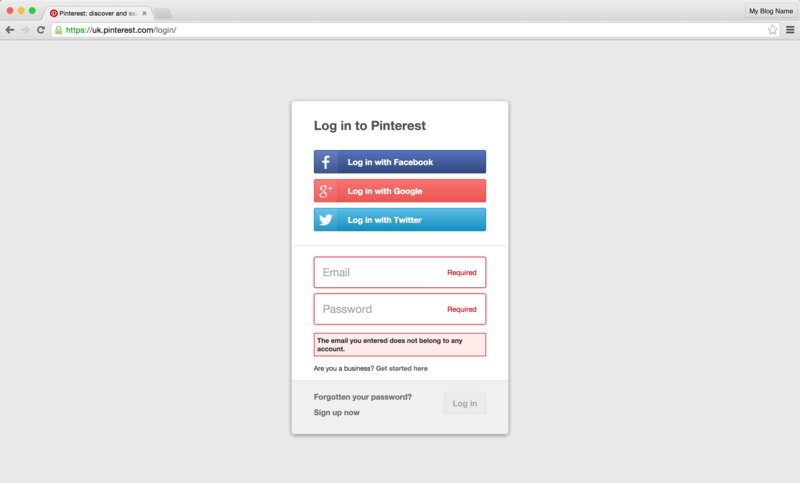 Yes, you can create Pinterest accounts first and then log in after creating the chrome profiles if you like. BUT for ease, I’d probably sign up for each Pinterest account as I create each Chrome profile. That way, after signing up, you should be logged in to each Pinterest account in the correct browser. I have two online business en this is a super way to keep them two seperated! I’m really pleased the tutorial worked for you. I use this method every day to switch between my Pinterest accounts too! Great tutorial as I have a few Pinterest accounts. I see you have loads of accounts, is there not a risk of getting accounts banned from using so many Pinterest accounts from the same browser and IP address? Thanks for commenting, I’m glad the tutorial helped you. I don’t think it’s against the Pinterest TOS and I’ve certainly not had problems using multiple accounts myself. There are lots of legitimate reasons why people would want to run more than one account or log in to several accounts using the same browser/IP address, e.g. I’d advise you double check with Pinterest, though. I don’t want to misinform you and get you into any trouble. I can only speak from my own experience. I’m really pleased the tutorial helped. I am definitely going to try this. 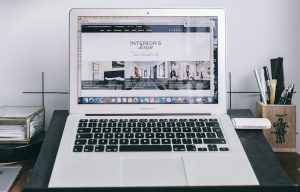 I have 6 different blogs all with their own social media accounts and I have been trying to find 6 different browsers that I like. (not very easy) If this works you will be my hero! (heroine?) Anyway, thanks so much! This is EXACTLY what I was looking for. I like Google Chrome and hate to use a different browser at all. Hmm, it looks like I have to have a separate google email for each one which I kind of do but they are in G Suite and there are really only 2 main email addresses and I think they call the other ones aliases or something like that. I guess the aliases don’t work. I will either be making more gmail accounts or looking for another solution. You shouldn’t have to use a Google email to sign up. I only have one Gmail account and 5 different user profiles. After creating an account, it does prompt you to sign in with a Gmail address but you can ignore this. The caveat is, you might be using a different operating system or version of Chrome to me… So I cannot say for certain. But in my experience, you don’t need any Gmail accounts, never mind one! THANK YOU. This is incredibly helpful! I’m thinking of starting a second blog and in the process of slowly starting up my social media accounts, I had to google “how to log out of Pinterest” – I mean, seriously? You’d think I was 80 years old. So thank you for saving me from logging in and out all the time!! You’re welcome! It’s a real time saver! This is amazing! Thank you for sharing. This will make my life so much easier. Thanks for this. I’m working on multiple sites right now, and I was trying to find some way to easily do this for Pinterest and Twitter. Who knew I already had the ability to do it all a long. So easy that I’m almost embarrassed for not knowing about. Don’t be embarrassed – it’s really uncommon, I don’t think many people know you can do it. I had no clue until I saw a friend use it for something random and I thought ‘ahh, I could use this method to switch between Pinterest accounts”. I log into multiple Twitter accounts using the same method too. (Though there are plenty of apps out there for managing multiple Twitter accounts, like HootSuite and Buffer. Thank you!! I’m always the one figuring out these sorts of things and sharing them so it was awesome to have one shared with me. I can’t believe I didn’t think of this! I own a store so I have all social media accounts personally and for my business! Everything is so much simpler now!! THANK YOU! I’m pleased the tip helped. It really does make life easier! I am using an iPad. I opened Chrome, but there is no preference item as far as I can tell. According to Google, they only allow one Chrome user profile on iPhones and iPads. So it’s impossible to do. You’re welcome, Danielle. You might want to try Board Booster too – that tool lets you schedule lots of pins (100) for free using their free trial. You might be able to automate the whole process. I’ve not used the tool YET but wondering if it can be used for this! This is slightly off topic but I am doing some market research and reaching out to bloggers interested in using Pinterest to grow a business. I was wondering if anyone had ever had any success on Pinterest in pinning direct from Instagram and whether anyone is interested in this? I’ve used IFTTT to send my images from Instagram to Pinterest automatically in the past. I don’t know if that helps. Thank you for this guidance, it helped me a lot. I was about to become completely confused and desperate because I continuously logged out of one account and trying to log in into the other I always ended up in the first one. Now I think I can separate them better. I am grateful for people like you who share their knowledge so graciously! Thanks for the lovely feedback Heidi; I’m pleased to have helped you. Fantastic! Does it work for Instagram and Facebook too? I’m pleased the tutorial helped. Yes, it works with everything. Any site you need to log in/out of. This is so, so helpful! 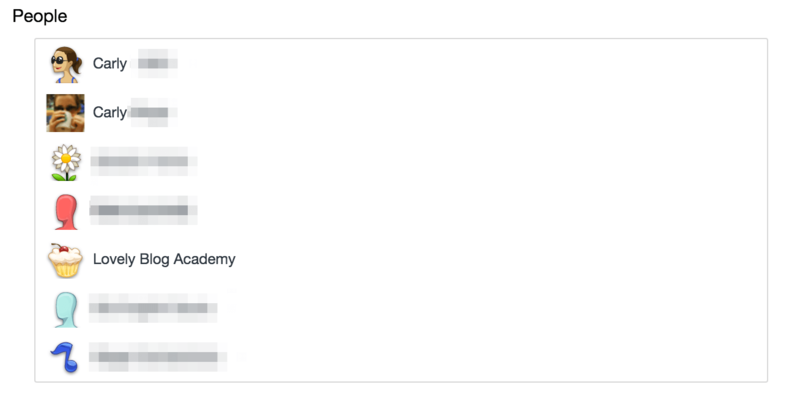 I’ve been going crazy trying to manage my own blog accounts and toggle back and forth for clients, but this makes my life easy (also, I can’t believe I didn’t think of doing this sooner). Thanks for the advice! I’m stuck on Step 5) After clicking the add button, a new window will open. 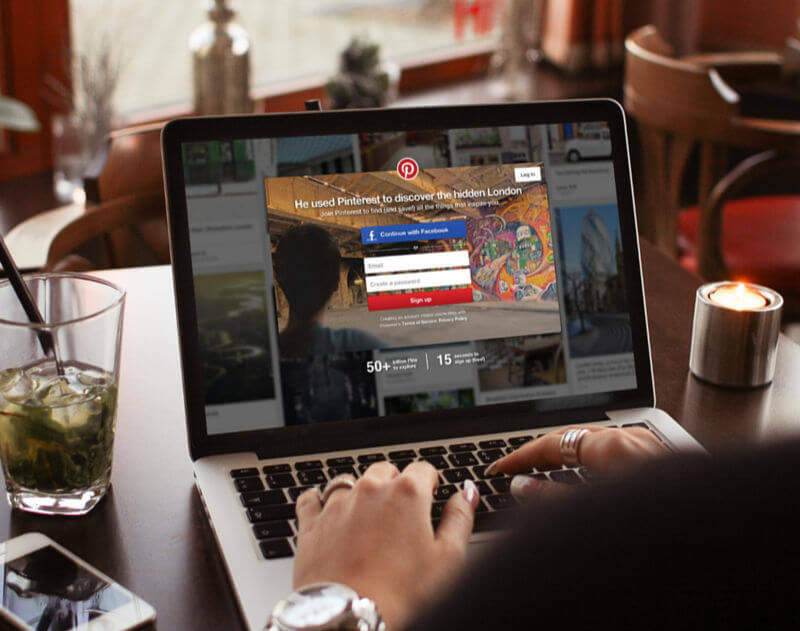 Navigate straight to Pinterest and log in with the relevant credentials. or creating new ones each time? Yes, you need to have a username/password for each of your accounts. Then you can open a new browser using the “People” open in Chrome and launch a new Pinterest account without having to log in/out multiple times. Ahhhhhh this has changed my life haha thanks so much for this tip!!! BEST TIP EVER! I have multiple blogs and manage a couple of clients’ social media and have been doing the good ol fashion logging in and out of things. Thank you! OMG I feel like a complete idiot I simply cannot figure out the chrome stuff I can’t find the preferences anywhere and there is no help that I can find. Nothing shows up called preferences in my settings and I have now wasted so many hours trying to figure out chrome it’s beyond me I just gave up. i followed the tutorial and was able to open a second account. however, i’m confused how to toggle between the two. it seems that both need to be open. is this correct? Just wanted to tell you how I great I think you are for writing this post! It has been driving me crazy logging in and out of Pinterest accounts! Oh my goodness! You are so helpful! I was so annoyed with using my computer for one account and. Y phone for another. You have saved me so much time! Thanks for the tutorial! You’re welcome. I’m very pleased it helped.